Spray foam insulation is an excellent resource for individuals that are looking to lower their heating bill during the winter months and keep heat from exiting the home. There are many different types of spray insulation foam available. Some of these foams will be more effective with different types of surfaces, and others will not be meant for use in the home at all. Spray Foam Insulation (Polyurethane foam) expands to create a climate control vault around your home keeping cooler summer months and warmer winter month, while your over all heating and cooling bills are reduced between 10% – 25%. If you are looking for the highest performing insulation system today, then Polyurethane Spray Foam is your best selection for your residential insulation or commercial insulation. Spray foam insulation creates a seal so tight that a special air exchange system needs to be installed. No this is not expensive, we include the solution as part of our estimates for your home or office. Our professional team of spray foam installers spray the liquid spray and it immediately expanding into polyurethane foam — which seals entire cavity or area where we spray the solution. The spray foam does not allow moisture to penetrate, thus seals out all outside air, thus mold has no breeding ground. The cost of the foam will be decided by a number of different factors. First of all, you have to know how much foam you are looking to use. Identify the area or areas of your home that you would like to apply spray foam insulation on. Keep in mind that the areas that you decide on should be the most troublesome areas that leak heat. You will need to take a measurement of the square footage that you would like to cover. Many people choose to subtract windows and doors from their measurement, but it might be a good idea to leave these things included so you can be sure that you do not under-purchase when you make your decision. Then, decide on how thick you would like the foam to be. The thickness of the foam generally tells how effective it will be at keeping the heat inside of your home. Certain types of foam, like closed cell foam, do not allow any heat or moisture to escape the home, but can be quite expensive in the long run. Closed cell foams are mostly applied to fiberglass because it completely stops all air leaks in their tracks. Once you have decided on how thick you would like the foam to be, you need to calculate the total number of board feet. You can do this by multiplying the square footage by the number of inches of foam that you have decided to use. This will leave you with a number that will assist you in deciding how many foam insulation kits you should buy, and ultimately will give you a better idea of what you can expect the project to cost. 600 will be the most common size that you will find in most home improvement stores. Depending on the brand that you choose, your average 600 board size insulation foam kit could cost you anywhere from $500 to $650. It is important that you read the reviews of the different brands that are available online so that you have a good idea about what the potential pitfalls of each product could be. You wouldn’t want to purchase the cheapest foam only to find out that the brand that you decided on has a lot of long term problems associated it. Remember, this spray foam insulation will become a part of your house, and that extra $100 can go a long way toward ensuring that you don’t have to deal with any headaches. 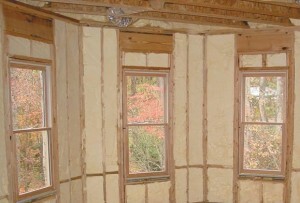 Spray foam insulation is an excellent alternative to adding traditional insulation. However, there are a number of steps that you must go through before getting a good idea about how much you will need to spend to insulate your home further. “Stack effect” from wind pressures is eliminated. Open-cell foam, where the tiny cells of the foam are not completely closed. They are broken and air fills all of the “open” space inside the material. This makes the foam weaker or softer feeling than closed-cell foam. Closed-cell foam would be a good choice where small framing sizes need the greatest R-value per inch possible. Closed-cell foam would be used for roofing applications, attic insulation and most often used to deliver the best energy savings for heating and cooling in both residential and commercial insulation. When you want to save 40% or more on your home or business utility bills, then exploring Spray Foam Insulation is a must. Give us a call or email us with your request, we can provide a no obligation estimate. If we can help, please connect with us. We are your number # 1 Houston based Spray Foam Insulation Contractors. We follow market prices — what that means for our customers, is the wholesale prices we receive for spray foam insulation, we simply add a service fee for installation and carrying the product and install it for you. 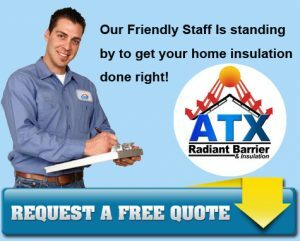 This ensures that we are extremely competitive and often we are the lowest priced spray foam insulation installers in Austin, Texas. With our 10 years workmanship warranty!! We believe we are the best service provider in Houston, Texas. If you think we can be of assistance to you, please call or email. When someone speaks of an R value, they are talking about how well insulation resists the transfer of heat. It is well known in some circles that the spray foam insulation r value is pretty high compared to other insulation materials such as fiberglass and cellulose. There are basic things to look out for when choosing a spray foam, as well as advantages and disadvantages to be aware of to help you choose your ideal foam. If you are considering open cell versus closed cell polyurethane foams, it is good to know that the closed cell foam prevents water wicking and vapor while the open cell appears to only prevent wicking. A high amount of water vapor getting into insulation can cause it to crack or damage the walls, thereby reducing the benefit of the originally high spray foam insulation r value. If you are considering using spray foam with isocyanates, the dangers are that the isocyanates can cause asthma and other lung problems. They may not be as likely to settle as cellulose or fiberglass, but contact with the product upon application can be very hazardous and outweigh the higher spray foam insulation r value if your health is incredibly important to you and you are the one installing it. Cementitious spray foams are desirable to a lot of people because they have that high spray foam insulation r value, but are less toxic and more affordable than other spray foams. They are, however, still more expensive than traditional insulation. They are used at a very low density to keep the r value as high as it is quoted to be. The cementitious foams have the advantage of being mold resistant and insoluble in water, as well as resistant to insects and fireproof. Some of the basic advantages of using spray foam insulation are that it can be used to fill walls without having to rip them apart first, and also provide a barrier for sound and vapor, increasing the amount of peace and quiet you can get in any room of your home. They can add to the structural stability of some homes by filling large spaces, but can also be used to fill small spaces and cover up the tops of nails in high-traffic locations of your home. 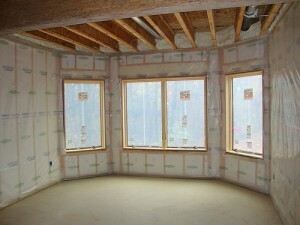 And of course, the spray foam insulation r value is higher than many other forms of insulation. Some of the disadvantages are that they can impair vision for a few days of the person applying the foam does not wear a mask. Some foams, but not all, are made from petroleum products and are applied with gases that can deplete the ozone, which is more of a problem if one is environmentally conscious. All in all though, spray foam insulation seems to be a great way to insulate your home as long as you do the research to make sure that you get the best kind available to you, for both your budget and your environmental and health concerns.